We are pleased to present Master Live Food Chef Kelly Lowes showing you how to prepare Almond Brittle Flan using our Alive, Organic Almond Butter. Watch the video and kindly share with us your thoughts and critique. Please accept our good wishes for you and family of good health, prosperity and success. Place the moss into a straining bowl. Take the bowl outside and completely rinse the sand and debris out of the moss. Do this several times until the moss is clean. Bring it back into the kitchen and place it in a large bowl. Cover the Irish moss with filtered water. Let sit for 1 hour. Drain it and repeat the procedure 2 more times. When the water runs clear, place it into a glass air tight container. Fill it with filtered water and place it into the refrigerator for 24 hours. Remove it from the refrigerator and place it into a strainer. Rinse it again with filtered water. The expanded moss should measure 4 cups. Place it into a Vitamix and add 1 cup of filtered water. Blend it until creamy smooth. Test it by hand to make sure there is no grittiness. Place it into a mason jar with a plastic lid and put it into the refrigerator. Take some masking tape and mark the date on the jar. It will last for 2 weeks in the refrigerator. Note: You will have Irish moss left over from this recipe. Use it in smoothies, cheeses, facials, or however you choose. I love it for all of its wonderful properties. The coconut will have a pointed top. Take a meat cleaver and shave the outer husk off of the top, exposing the inner shell. Take the corner of the meat cleaver toward the handle and tap the exposed coconut shell, going around in a circle. This will make a lid on the top that you can pry open. Pour the coconut water into a Vitamix using a strainer. Take the coconut in one hand and use a large spoon to scrape the coconut meat out of the shell with the other hand. Clean the meat of any brown bits of coconut shell or skin. Add the cleaned meat to the Vitamix. Blend on high until smooth. I suggest straining it once more to ensure smoothness, making sure all pulp is gone. This olive oil is very fresh and rich in antioxidants. It has a high available polyphenol content : 404 ppm (parts per million) compared with 222 ppm for most extra virgin olive oils.It is quite stable with a shelf life of over a year. These beautiful dates have a firmer texture and are a vitalizing treat as a dessert or snack. Firmer and with more depth of flavor. Pack them along when traveling or hiking. Its easy to remove the pits and use for a wealth of culinary applications. Great addition to school lunches. (Mercola) According to the U.S. surgeon general, more Americans now use prescription opioids than smoke cigarettes. This makes sense when you consider prescriptions for opioid painkillers rose by 300 percent between 2000 and 2009, and Americans now use 80 percent of all the opioids sold worldwide. In Alabama, which has the highest opioid prescription rate in the U.S., 143 prescriptions are written for every 100 people. A result of this over-prescription trend is skyrocketing deaths from overdoses. The most common drugs involved in prescription opioid overdose deaths, specifically, include methadone, oxycodone (such as OxyContin®) and hydrocodone (such as Vicodin®). There are safe options to treat pain, but education — both among doctors and patients — is sorely lacking. This is why I frequently write about this issue, and hope you’ll do your part in spreading the word. Far too many people in the prime of their life are losing it to painkiller addiction, and often they simply had no idea a prescription painkiller for a temporary injury or pain would send them into the throes of drug addiction. (Mercola) Nearly 80 percent of Americans do not get the recommended amount of aerobic and muscle-strengthening activity recommended for optimal health. Far from being only a matter of weight loss or aesthetics, exercise is a crucial element of disease prevention and management, with the “side effect” of helping you maintain a healthy weight. Harvard Medical School also states, “Decades of research have determined that regular exercise is one of the most important factors in warding off cardiovascular disease, many types of cancer, diabetes and obesity.” Simply by getting moving, you, too, can reap the many scientifically proven benefits that exercise has to offer. (Buffalo Field Campaign) We are in the company of approximately two hundred wild buffalo who are enjoying the peace and quiet of year-round habitat on Horse Butte and surrounding lands. 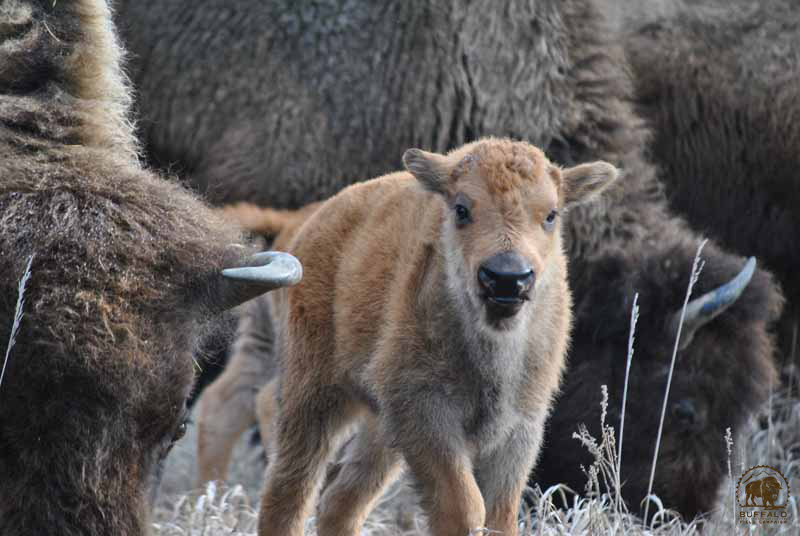 For two decades we have been ready to defend the buffalo on their chosen ground, monitoring government activity, and standing at the ready every moment to document hazing operations that would occur day after day for long, difficult weeks every spring. This tranquility is taking some getting used to, but we are so thankful as we learn to relish this most significant victory as we spend time with buffalo who are not being harmed or harassed on a landscape that used to turn into a war zone when the cowboys and law enforcement would brutally chase the buffalo out of Montana. We do have a bit of sad news to share, unfortunately. The injured mama buffalo who we have been monitoring for over a month finally succumbed to her ill health on Wednesday. We had been amazed at her tenacity, staying alive in the condition she was in, and we had the greatest hope that she would somehow survive. We are fairly certain she was pregnant, and thought she might hold on to bring her calf into the world. But on Tuesday patrols saw her alone and laying in a posture that made us think she was dead. As we checked we saw signs that she was still hanging on.